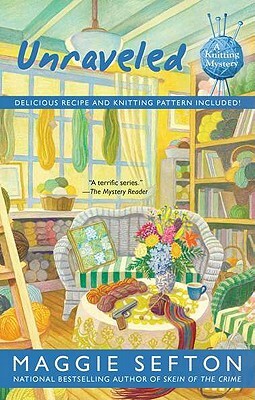 The newest yarn from the national bestselling author of "Skein of the Crime." Maggie Sefton was born and raised in Virginia, where she received her bachelor s degree in English literature and journalism. Maggie has worked in several careers over the years, from a CPA to a real estate broker in the Rocky Mountain West. However, none of those endeavors could compare with the satisfaction and challenge of creating worlds on paper. She is the mother of four grown daughters, currently scattered around the globe. Author of the nationally bestselling Knitting Mysteries, she resides in the Rocky Mountains of Colorado with two very demanding dogs."